Just how serious are the politicians who signed the Declaration in wanting to see much needed democratic reforms? A party such as the DAP should not need much convincing to carry out democratic reforms because they are the only party in the Malaysian landscape with “Democratic” in their party name. Yet when DAP state assemblyperson Teh Yee Cheu proposed a motion in the Penang State Assembly to limit the office of the Chief Minister to two terms, it was soundly rejected and he seems destined to oblivion in the party. Incidentally, he had also done what the DAP has often challenged Barisan Nasional legislators to do, namely, to vote according to their conscience and not bow to the party whip. In this, Teh had also supported an opposition motion to review the reclamation projects taking place in Penang. For that politically courageous act, he has likewise sealed his fate in the party. Let us look at this issue of term limits in perspective. We are not talking about radical democracy such as was practiced during the Paris Commune of 1871 when elected officials were subject to immediate recall. In ancient Greece more than 2000 years ago, many offices were term limited so as to limit the power of individuals, a practice that was seen as vital for the greater good of society. 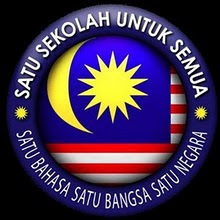 Here in 21st century Malaysia, we are merely proposing that for much needed democratic reform, the terms of ALL elected officials be limited – not just the Prime Minister, Chief Minister or Menteri Besar (to two terms) but also Members of Parliament and ADUNs (to four terms). We are living in a rapidly evolving age of change as the DAP are so often reminding us. Yet we still see the old DAP leaders hogging their seats for more than four terms and some having been in Parliament since the era of the Tunku – half a century ago. 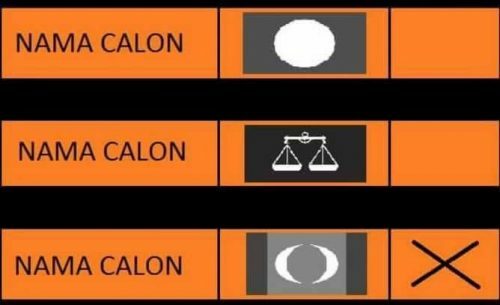 During that time, Umno (surely not the paragon of democracy) has changed party leaders five times. Is the DAP so bereft of capable leaders that they need these old leaders to cling onto their seats ad nauseum using the trite excuse that they are still needed? I remember when I was in the Selangor DAP, “HQ” insisted that the DAP leader of the Opposition in the State Assembly had to be an old leader who held office in the Federal Parliament as well as the State Assembly. A number of us revolted against this decision and we were proven correct when another young DAP State Assemblyperson took over as Opposition Leader and did the job creditably. We were revolting not so much against the lack of term limit as the absurdity of a DAP leader holding both a federal and state office. The late Karpal Singh, whom DAP leaders all say they admire, was a stern opponent of this grabby practice by established leaders to hog federal as well as state seats. His famous line when a former DAP stalwart left the party was: “No one is indispensable.” That surely applies to everyone in the world. Or are some people exempt from this mortal truism? Many modern republics employ term limits for their highest offices. The United States place a limit of two terms on its presidency while some state governors and state legislators also have term limits. The Russian Federation also limits the head of state to two terms; any further terms cannot be consecutive. The democratic justification for this term limit is simply that elected officials can over time obtain too much power or authority and thus make them less representative of all the citizens. The democratic principle behind term limit is that no one person should have too much power nor for too long. The concept of term limits minimises the amount of power any one person can gain over a period of time. As we have seen only recently, even within the two-term service, corporate interests including those in property and finance can provide inducements to the incumbent especially when they have developed familiar relations over time. There is clearly a correlation between the length of time a politician serves and the degree to which he/she has opportunities to engage in corruption. The principle of term limits has always been applied to the civil service which is why civil servants and police personnel are transferred every so often to prevent the acquisition of power and inducements to corruption in any one post. Term limits would make this less likely since there is less time that a politician can be influenced by the power of the office that they hold. Corporate interests cannot become as entrenched when term limits are in place. With term limitations, corporate influence still happens, but not to the extent that it can when such interests develop unhealthy relationships with career politicians who are in office for a long time. In a democracy, elected representatives are supposed to represent the interests of the citizens. As most politicians will tell us when they are interviewed, their work is supposed to be a service to society as a whole. Being a Member of Parliament or State Representative is not a profession even though it has become a career for many people. In fact, elected officials should operate on the understanding that they are only serving the people for a period of time until it is someone else’s turn. Term limits ensure that their representatives focus more on representing the public than on hogging the office and power. Democracy and organisational development are about providing opportunities to as many people as possible and especially to the young, women, indigenous people and the marginalised. In our society, there are so many individuals with untapped potential for leadership as if that is not clear for all to see. In recent years, we have seen the surge of many young capable leaders in the DAP, including women from non-Chinese origins. Let’s face it, the number of available seats in the federal parliament and state assemblies are strictly limited. To have served four terms in parliament is a reasonable limit and allows new candidates to make themselves known to their constituents and have a go at representing the people. Term limits will create the opportunity for younger people to get elected to public office. Modern society needs service-oriented young people in different elected positions, providing diversity and strength to the citizenry. A wider pool of candidates also gives voters a bigger choice of new people and new dynamic ideas. Thus, this principle of not allowing any one person to hold a position of control or power for an indefinite period of time is for the common good and should be an urgent democratic reform for Malaysia. The terms of ALL elected officials should be limited, namely, that of the Prime Minister, Chief Minister or Menteri Besar to two terms, and that of Members of Parliament and ADUNs to four terms. For reminding us of this long awaited democratic reform, we have the DAP state assemblyperson for Tanjung Bungah to thank. Let’s hope he is rewarded by his party for this public service. Kua Kia Soong is the advisor of Suaram (Suara Rakyat Malaysia).